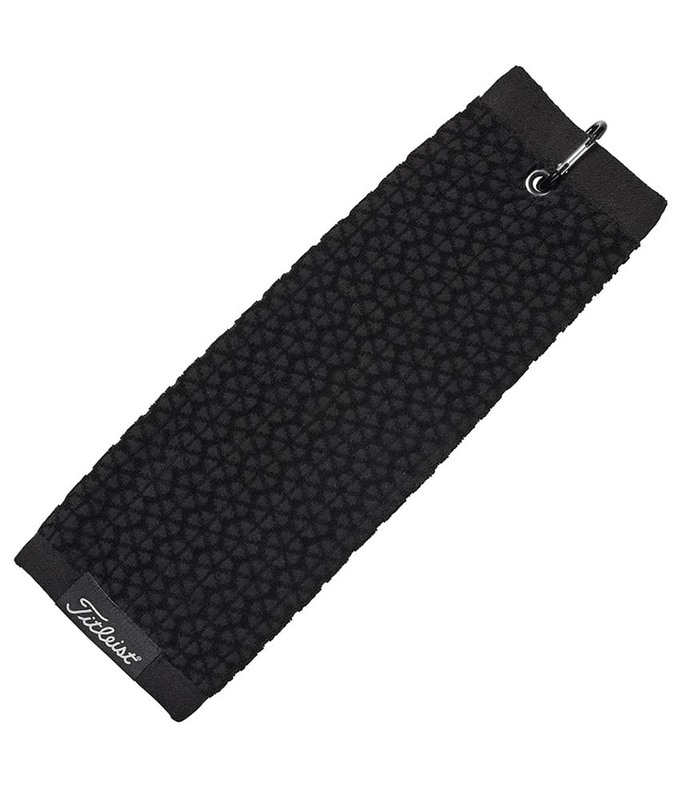 The Titleist Tri Fold Cart Towel has been designed to provide ease-of-use that will allow you to attach to your golf bag and provide someone to keep clubs clean. 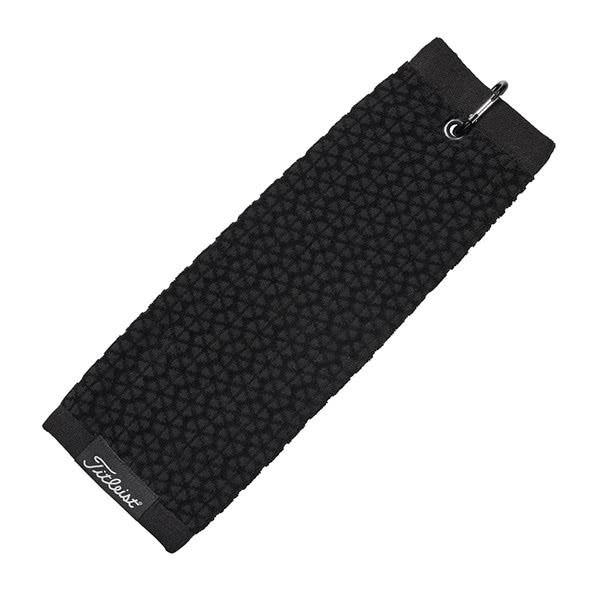 Made from a patterned and absorbent terry material the tri fold design allows you to maximise space and use a dedicated side for hands, clubs and grips while out on the course. Titleist have used ‘bleed free’ material so that you can wash and keep clean. A carabiner clip attached to the towel will allow you to attach to any golf bag for added convenience.